Glenmorangie Astar – a Highland single malt matured in ‘designer’ American oak casks – is back on sale this September after a five-year absence. Originally launched in 2008 and discontinued about four years later, the NAS (no age statement) expression is described by Glenmorangie director of distilling, whisky creation and whisky stocks Dr Bill Lumsden as ‘like Glenmorangie Original on steroids’. 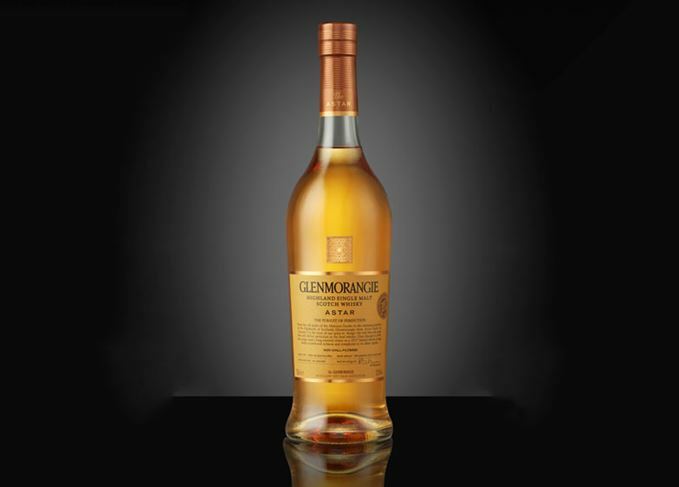 Glenmorangie Astar owes its character to the use of first-fill American oak casks, chosen for the wood’s porous structure (eight to 12 growth rings per inch). Seasoned for two years and lightly toasted, heavily charred and seasoned with Bourbon for a further four years, the casks were then shipped to Scotland and filled with Glenmorangie spirit. The initial Astar expression was discontinued in 2012 because of the expense of sourcing the casks but, since the acquisition of Glenmorangie by French luxury goods group LVMH, Dr Lumsden has invested in four times the number of casks. The launch comes as the distillery prepares the second release in its Bond House No 1 series of vintage expressions (replacing the discontinued 25-year-old) – a 1989 vintage single malt following the release of Glenmorangie Grand Vintage Malt 1990 earlier this year.